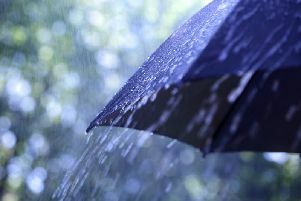 Sussex is set for a brighter week with some showers, however a very high pollen count has been predicted by Met Office for today and parts of the coming week. Today will be dry day for most places with some sunny spells, however an increase of cloud towards this evening and a southwesterly breeze, temperatures reaching 21 degrees. Tonight will turn cloudy with some outbreaks of rain, locally heavy at first, but the rain tending to become lighter and more patchy later. Mild and humid overnight but remaining breezy. Towards Monday, June 20, forecasters predict cloud for most of the day with mostly light rain or drizzle, but some heavier bursts are likely for a time. It is expected to become drier and brighter by Monday evening with some isolated shower. Maximum temperature 20 degrees. For the rest of the week, hayfever sufferers should be aware that Met Office predicts more ‘very high’ pollen days, similar to Sunday. Tuesday, June 21, is predicted to be mostly dry with sunny spells across Sussex. However, Wednesday is set to be cloudy with some rain or drizzle at times. Thundery rain and cloudy is possible for Thursday. UV levels are forecast to be ‘moderate’ for most the week, and Met Office advises the public to take care during midday hours and to not spend too much time in the sun unprotected.